For those who are interested in teaching ESL in Thailand, Taiwan and Vietnam, this will be a helpful guide for you. 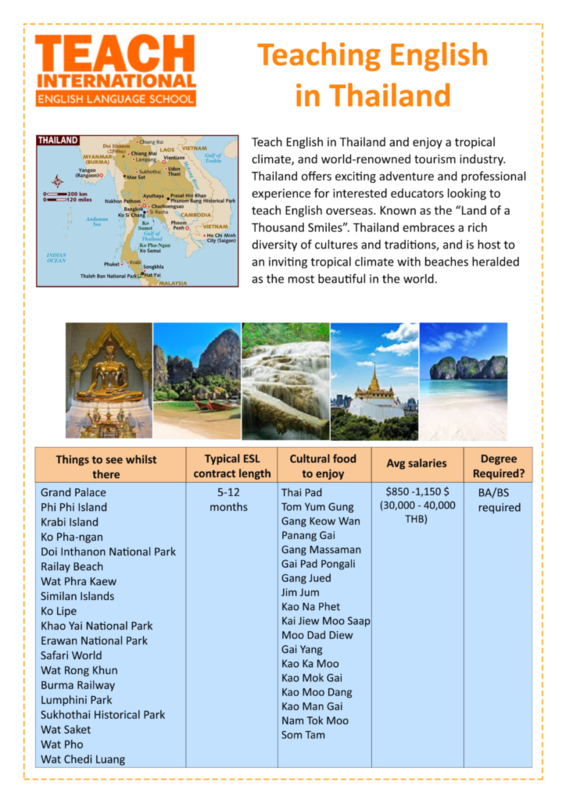 Teach ESL in Thailand and enjoy a tropical climate and a famous tourism industry. Thailand offers exciting adventures and professional experience for interested educators looking to teach English abroad. Known as the ‘Land of a Thousand Smiles’, Thailand embraces a rich diversity of cultures and traditions and is host to an inviting tropical climate with beaches acclaimed as the most beautiful in the world. Teaching English abroad is ideal for teachers looking to advance their professional careers or for social, active individuals looking to travel and explore new employment opportunities in a dream destination. Below is some quick info how to get your dream job in Thailand. 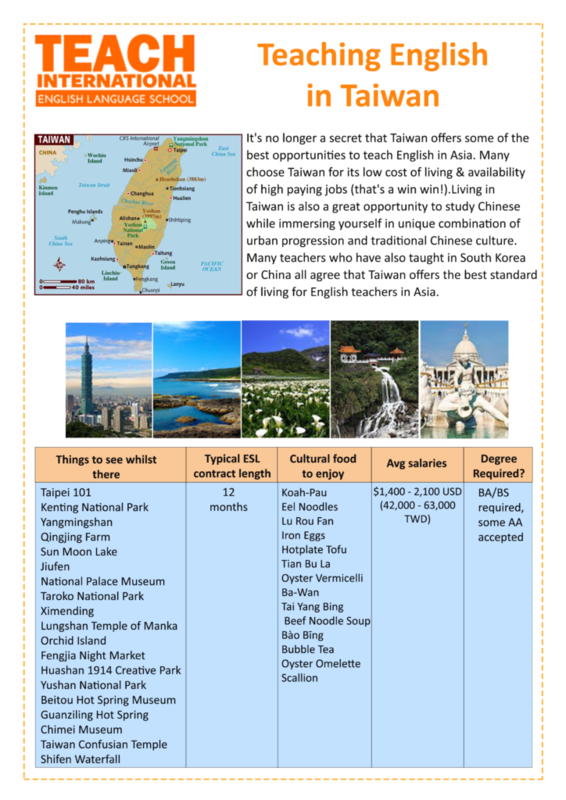 Recommended jobs in Taiwan for ESL teachers are abundant, the requirements are minimal and the pay is generous. The cost of living in Taiwan is low, the climate is very pleasant and the people are very welcoming to foreigners. Taiwan also offers some of the most unique options for ESL teachers interested in teaching English in Asia. 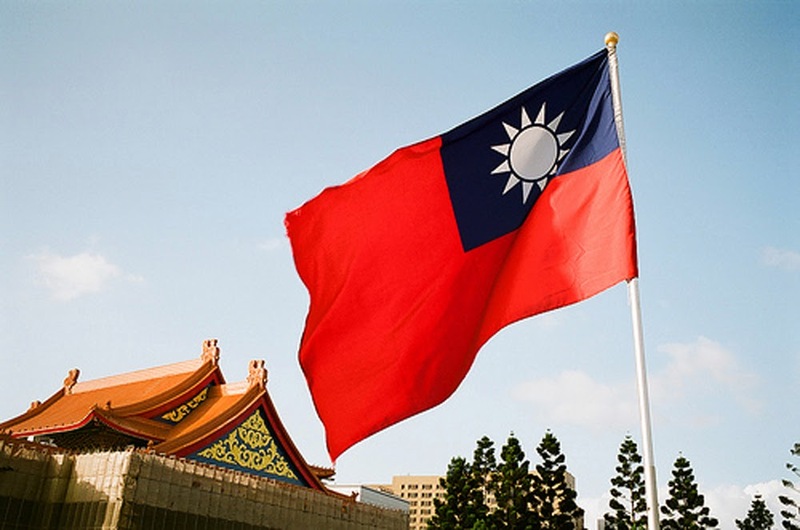 Teaching jobs in Taiwan within public and private schools allows teachers to gain international experience, while Taiwan’s mountainous terrain, modern cities and spectacular coastline allow for some exceptional travelling. However, in addition to its technical might, Taiwan is also home to some spectacular sights. Taiwan offers an imposing mix of natural and urban beauty, making it an intriguing destination for those interested in teaching in Asia. 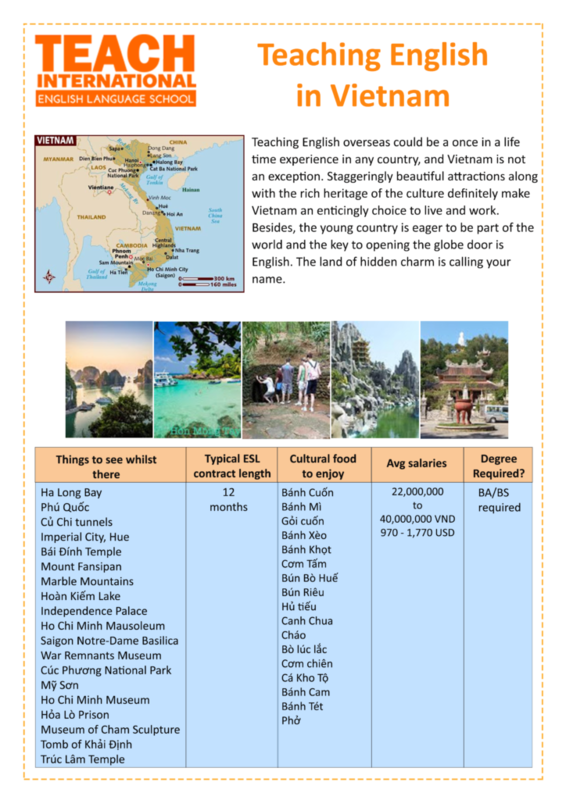 Teaching ESL could be a once in a life time experience in any country and Vietnam is not an exception. Drastically beautiful attractions along with the rich heritage of the culture definitely make Vietnam an enticing place in which to live and work. Besides, the young country is eager to be part of the world and the key to opening the globe’s door is English. This results in an increasing demand for learning English and plentiful opportunities for ESL teachers. If you are thinking about Vietnam for travelling, why not consider teaching English there as your future career or even just a temporary job that helps you deal with your bills while exploring? The information below will help you to know what to do to become an ESL Teacher in Vietnam. Your open door journey starts here. Discover opportunities to take your teaching career abroad with Teach International.